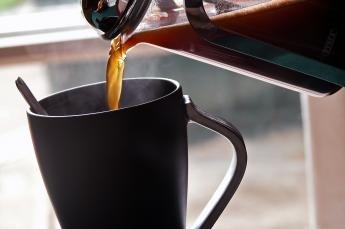 Wake up and Smell the Coffee…Before it’s too late! With the Summer JO’S only 50 days away I think it may be a good time to review these Commandments,they have been posted on your Team Weston web-site. I think that they are well written and deserving of your attention. Remember that swimming is you child’s activity. Improvements and progress occur at different rates for each individual. Don’t judge you child’s progress based on what you think they should be doing. The nice thing about swimming is that every person can strive to do their personal best and benefit from the process of competitive swimming. There is only one question to ask your child after a practice or a competition.- “Did you have fun?” If meets and practices are not fun, your child should not be forced to participate. Remember though, that “fun” is often defined individually; reaching a goal, doing your best can be fun. You are involved in one of the few youth sports programs that offer professional coaching! Do not undermine the professional coach by trying to coach your child on the side. Your job is to provide love and support and a safe place to return to at the end of the day. Love and hug your child no matter what. The coach is responsible for the technical part of the job. You should not offer advice on technique of race strategy or any other area that is not yours. And above all, never pay your child for a performance. This will only serve to confuse your child concerning the reasons to strive for excellence and weaken the swimmer/coach bond. 4. Thou salt only have positive things to say at a swimming meet. If your are going to show up at a swimming meet, you should be encouraging and NEVER criticize your child or coach. Both of them know when mistakes have been made. Please remember that “yelling at” is not the same as “cheering for”. 5. Thou shalt acknowledge they child’s fears. Your child’s first swimming meet, 500 free or 200 IM can be a stressful situation. It is totally appropriate for your child to be scared. Don’t yell or belittle, just assure your child that the coach would not have suggested the event if your child was not ready to compete in it. Remember your job is to love and support your child through their entire swimming experience. If you do not care to devote the time or do not have the desire to volunteer as an official, please don’t criticize those who are doing the best they can. The bond between coach and swimmer is a special one, and one that contributes to your chil’s success as well as fun. Do not criticize the coach in the presence of your child, as it will only serve to hurt your child’s swimming. 8. Thou shalt be loyal and supportive of thy team. 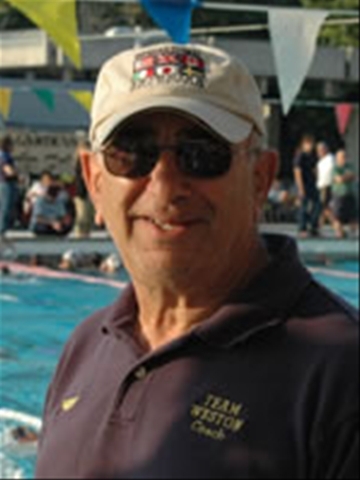 It is not wise for parents to take their swimmer and jump form team to team. The water isn’t necessarily bluer in another team’s pool. Every team has its own internal problems- even teams that build champions. Children who switch from team to team ar often ostracized for a long time by the teammates they leave behind and are slowly received by new team mates. Often swimmers find that switching teams does not improve their performance. Most successful swimmers are those who have learned to focus on the process and not the outcome. Giving an honest effort regardless of the outcome is much more important than winning. One Olympian said, “My goal was to set a world record. Well, I did that, but someone else did it too, just a little faster than I did. I achieved my goal and I lost. Does this make me a failure? No, in fact I am very proud of that swim.” What a tremendous outlook to carry on through life!! Swimming is much more than just the Olympics. Ask your coaches why they coach. Chances are, they were not Olympians, but still got so much out of swimming that they wanted to pass the love for the sport on to others. Swimming teaches self – discipline and sportsmanship; it builds self-esteem and fitness; it provides lifelong friendships and much more. Most Olympians will tell you that these intangibles far outweigh any medal they may have won. Swimming builds good people, like you want your child to be, and you should be happy your child wants to participate!